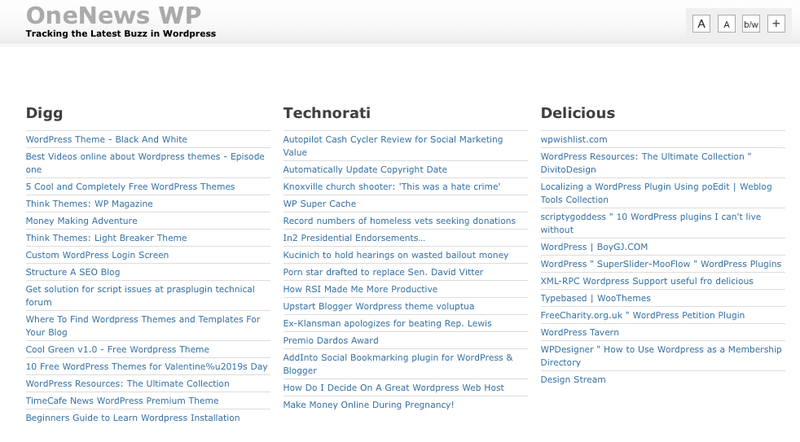 January 1st in Premium Themes by Wordpress Jedi . Accumulo: the best RSS theme for WordPress. It comes closest in look and feel to AllTop. It’s pretty clean and the performance is decent (our review). 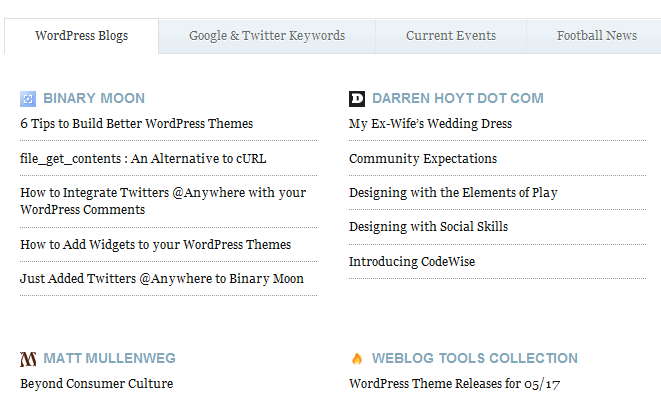 OneNews: OneNews is another clean premium WordPress aggregator theme. Supports all types of content and is very easy to customize. Gives your visitors the chance to change its look and the font size too (review). Aggregator Theme: a pretty attractive RSS aggregator theme for WordPress (by Templatic) that supports all kinds of feeds, including image and video feeds. Please feel free to add your suggestions below.